Keloid Scars – A keloid is a thickened scar in which there is overgrowth of scar tissue and collagen beyond the borders of the original scar. Treatment –Keloids are harmless but can be itchy or painful for some individuals. Raised or hypertrophic scars and keloids can be treated with Scarguard MD and ScarSheet MD. Both products are designed to flatten and shrink raised scars. Contracture / Burn Scars –are sometimes deep scars that can occur from burns and may cause the skin to tighten. In some cases, the scars may limit normal mobility. 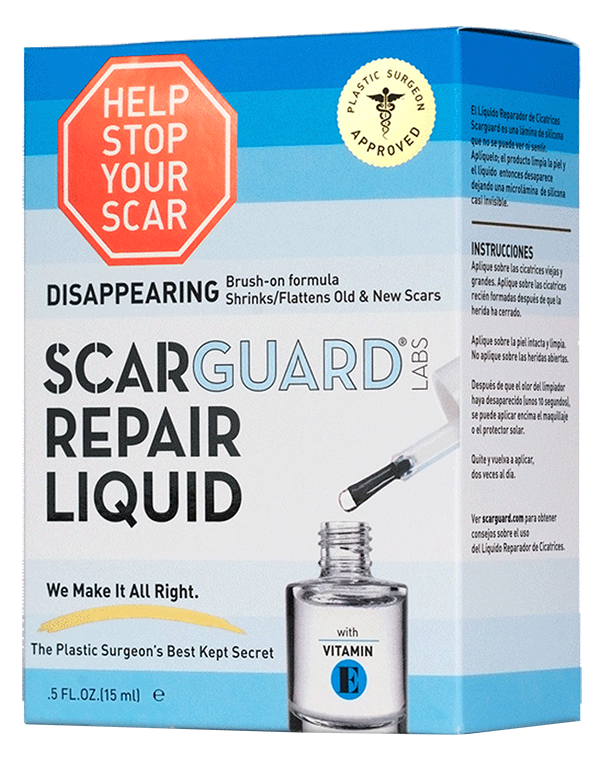 Treatment – Scarguard MD can help guard against the formation of excess scar tissue after the burn has completely healed. 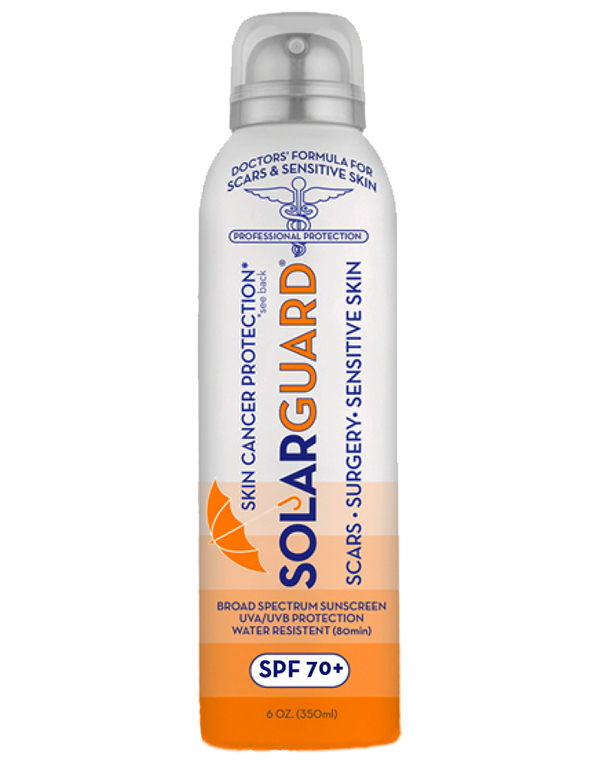 It can also help reduce excess scar tissue in an old burn scar if it is thick or raised. 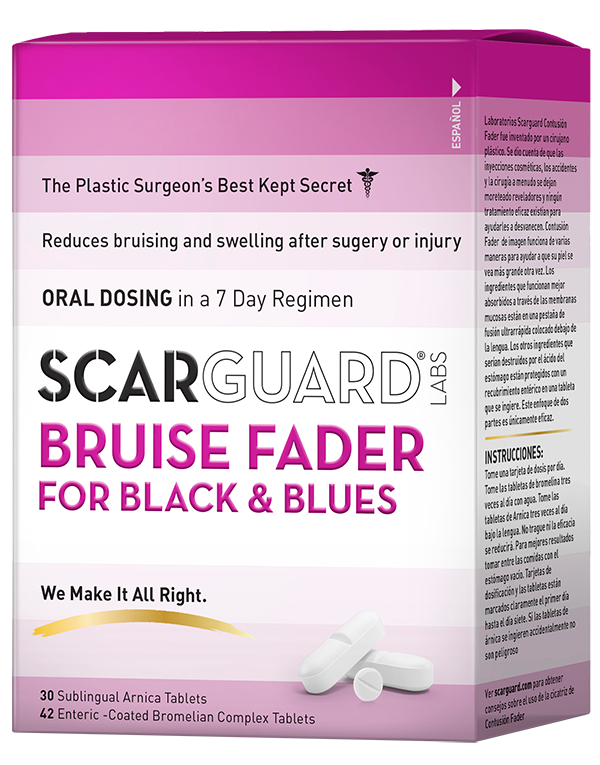 NOTE: If your injury required medical attention, ask your medical professional for directions about using Scarguard MD. Atrophic / Acne Scars – Thinned out scars or a depression or sunken area because of damage to the collagen, fat or other tissues below the skin. These scars are caused by: Acne, chickenpox, surgery and accidents. Treatment – Acne scars can be both raised and sunken. 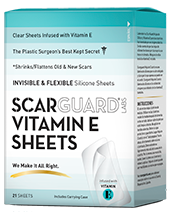 If you have raised and irritated acne scars, Scarguard MD can help. Try Scarguard MD on a small test area and see how it works for you over a few days. We believe you will see a tremendous improvement. 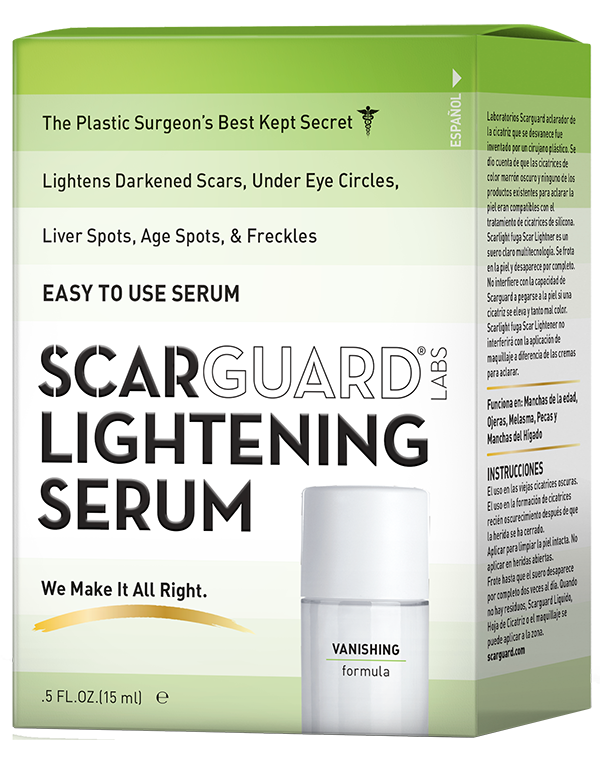 If your acne scar is discolored, you may want to use Scarguard with Scarlight to fade and lighten the scar.